Save Lives. Save Money. Shop With Heart. 20% OFF PURCHASES starting April 28 through May 7th when you use your SHOP WITH HEART CARD*. 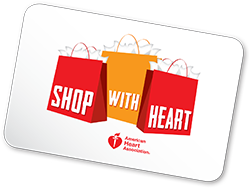 Buy your Shop With Heart Card here for a minimum donation of $50. 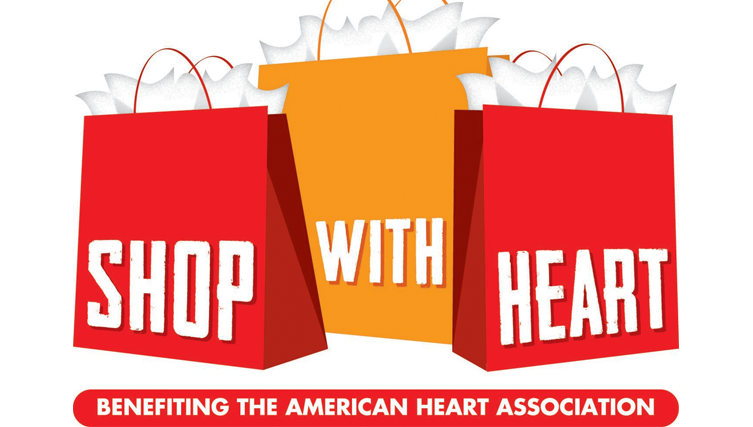 All proceeds from Shop With Heart Card sales benefit the American Heart Association whose mission is to build healthier lives free of cardiovascular diseases and stroke. Save Lives. Save Money. Shop With Heart. Visit ShopWithHeart.org to learn more.